"I see sham pane, but no glasses"
Now try taking it to court. 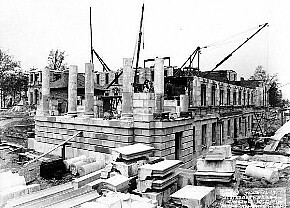 Horace Trumbauer, Whitemarsh Hall (Wyndmoor, PA: under construction, 1917.05.16). It looks like Redwood Fisher (son of Miers, supercargo) and Joseph Jacques Ramée crossed the Atlantic Ocean (from Europe to the US landing mid September 1812) on the same ship. Miers met with Ramée at least two times, but it doesn't look like Ramée was ever at Ury. Was Ramée perhaps architect of the quondam St. John's Episcopal Church (1815) at American and Brown Street in Northern Liberties, Philadelphia? The entrance facade of St. John's Church looks just like this. 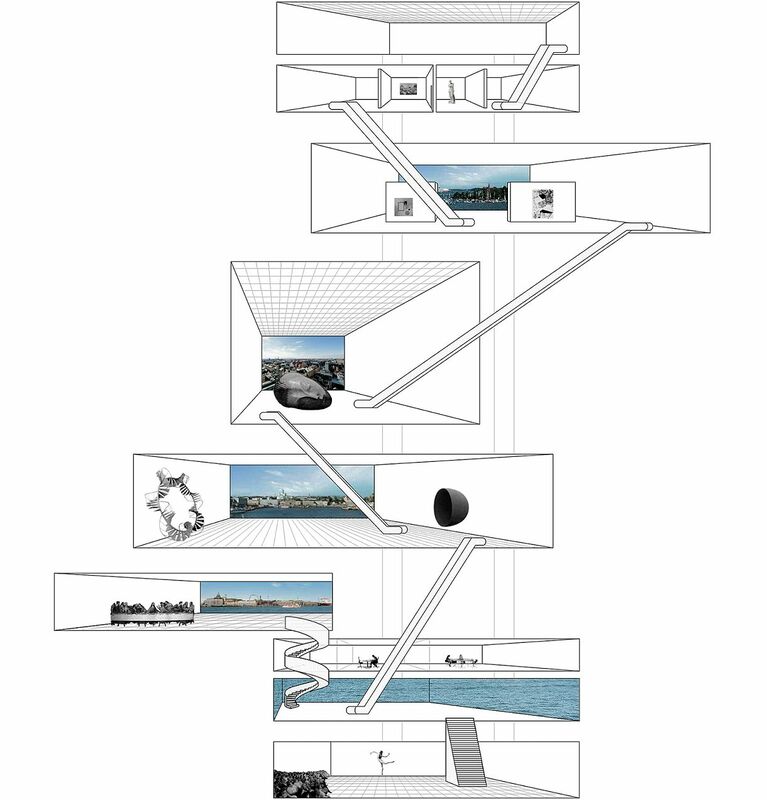 When it comes to making "a diagram or a plan that shows the ideas of a building, I like to think at least big. In the future, everyone will be a starchitect for fifteen minutes. That should satisfy everyone. "In the future, all the past (and even the present?) will be a fiction." [I'm just not myself till I] Rita Novel. 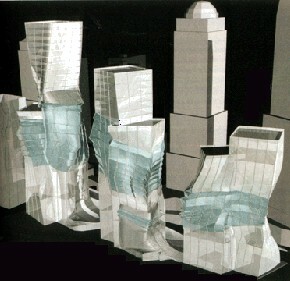 Remember Eisenman's September 2002 proposal for new towers adjacent Ground Zero? I don't have any books on Gehry post 1999, so I still have to investigate what Gehry was doing circa 2002. 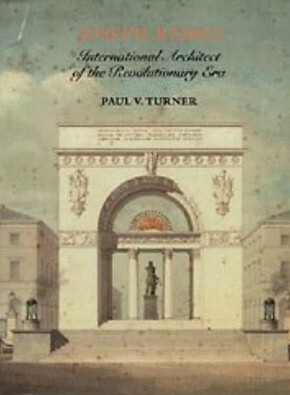 Actually, there is a more recent book I can get from the Free Library. I have a feeling that Eisenman was ahead of Gehry with regard to the whole crumbling/falling-down look/form. Will history come to acknowledge the events of 9-11 as having a significant effect on early 21st century architectural form? I used the word crumble (with a 'b'), and you used the word crumple (with a 'p'), and they are not the same thing. 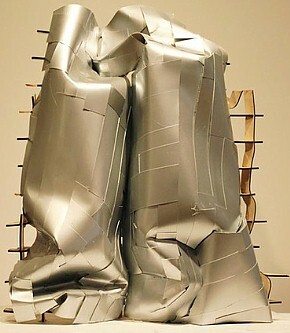 Yes, the crumple (ie, scrunch together) has been a part of Gehry's design vocabulary since the late nineties, but the crumble (ie, erode, fall apart) is much more recent in Gehry's work. It might well be significant that Eisenman's 2002 design is a combination of crumple and crumble. 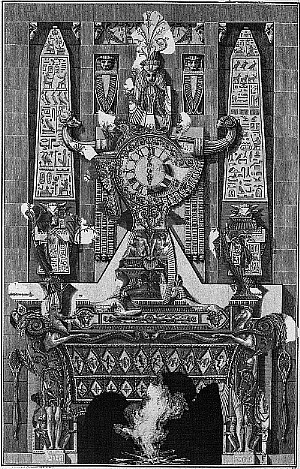 It's odd to think that Piranesi works like Koolhaas does, especially since it's certain Piranesi did not know Koolhaas. 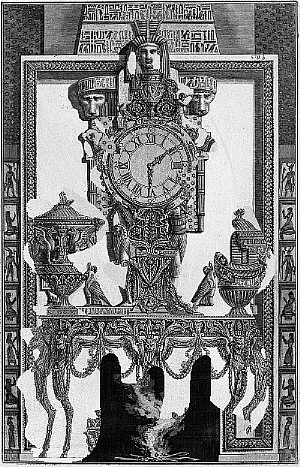 If Piranesi's hedonism is in the architecture, then shouldn't Piranesi's architecture (that exhibits hedonism) be shown? I wouldn't say that the Carceri, for example, exhibit "pleasure or happiness as the sole or chief good in life." And the architecture in the Ichnograpia Campus Martius exhibits more inversionary themes like life/death, Pagan/Christian, love/war, and lots of spectator activity (which is more passive than active). It's interesting to compare Tafuri's more rapid-fire passages with what was in architectural journals/magazines at the same time the passages were written. The passages are very much like taking all your bookmarks and then writting a sentence or two about each of them, and then grouping the sentences into paragraphs. I believe all the rapid-fire passages could have been very precisely footnoted. 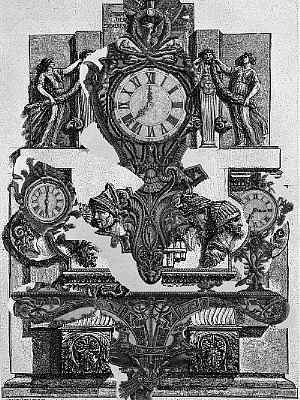 It's Piranesi time to the nth degree.